As an archaeologist, the idea of walking the halls of your state capitol to speak with legislators and their staff might be horrifying. I get it. We are natural introverts who prefer the comforts of our labs, a good book, or the isolation of conducting fieldwork in the woods. We did not get into archaeology so that we could “play politics.” However, we cannot avoid politics either. Everything is political, as unfortunate as that may seem. The fact is that if we are not educating our elected officials about the importance of archaeological protection, you can guarantee someone looking to weaken those protections is meeting with them. As uncomfortable as it may be, we have to learn to occasionally swap the field clothes for a suit and parade ourselves to the capitol building to meet with legislators. and I realized this and wanted to bring more of our archaeology friends to the capitol. 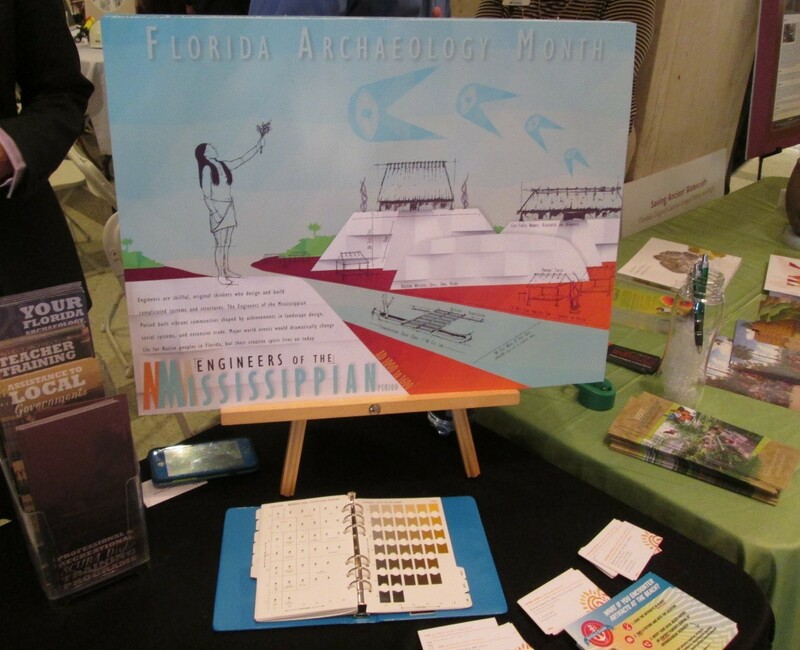 We planned an event called Archaeology Day at the Capitol and invited fellow archaeologists from around the state. Learning the ins and outs of how to get permission to have an event at the capitol was an adventure, but it really was not as daunting as I imagined. The event went so well that we have made it an annual event! 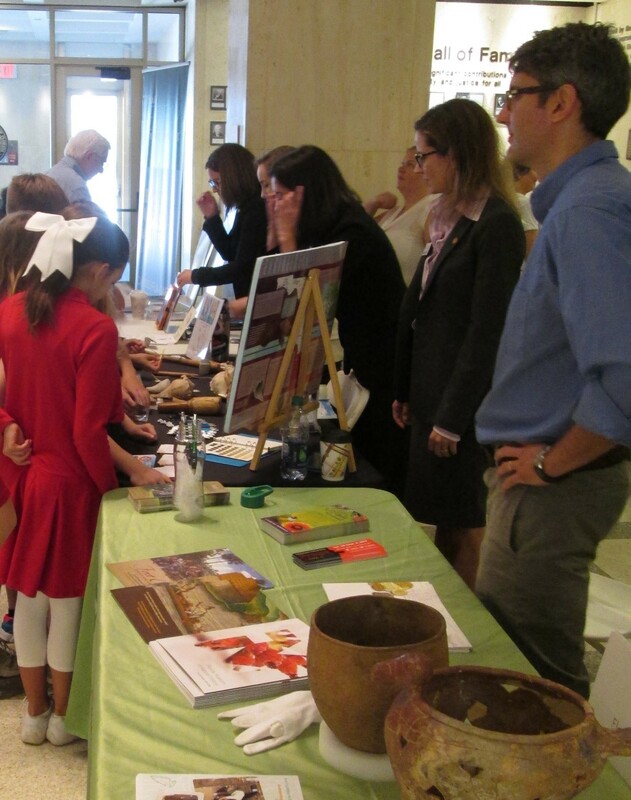 This year we will be having our third Archaeology Day at the Capitol. Each year we learn how to make it better and more efficient. In 2018, I asked each participant to fill out a survey so that I could get ideas on what they wanted the event to look like. We used that feedback to plan this year’s capitol event. Starting the event from scratch has given us an opportunity to turn it into whatever we want it to be. It is my dream to have an Archaeology Day at every state capitol. If you are interested in collaborating, please contact me! I would be delighted to help you establish a similar event at your state capitol. That being said, we cannot wait until something happens to react. Far too often, I think archaeologists hesitate to be proactive. It must be our introverted nature! However, even if there is nothing in the works that threatens archaeological protection, we need to reach out and educate our elected officials at all levels. The goal is to become a go-to person for all issues archaeological. As daunting as it may seem, they are just people too. They were elected to serve the public and it is their job to listen to us. The meeting does not have to be long. Fifteen minutes is plenty of time (remember that they are busy people). If your elected representative is not available, meeting with their staff is just as effective. It can be as simple as going to talk to them about the interesting finds from your latest project or inviting them to come out to your site for a tour. Archaeology is inherently interesting. Getting someone interested in archaeology is not a hard task. All you have to do is talk about it. If our voices are not heard, then we cannot expect to see issues we care about addressed in ways we deem appropriate. So make your voices heard! Take charge! We can turn the tide and get in front of issues if we are proactive. I always try to end meetings with action items. I have never ended a blog that way, but here it goes! By the end of the day tomorrow, schedule one meeting with an elected representative at any level of government (local, state or federal). Remember, there is power in numbers, so bring a friend!